Today I’m gonna share something really, really cool. 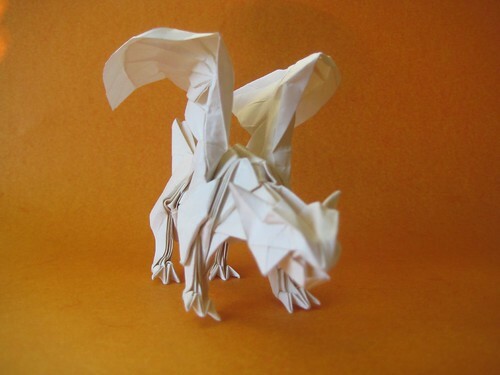 There are many representations of origami dragon, different versions, styles, variations, in other words – lots of ’em. 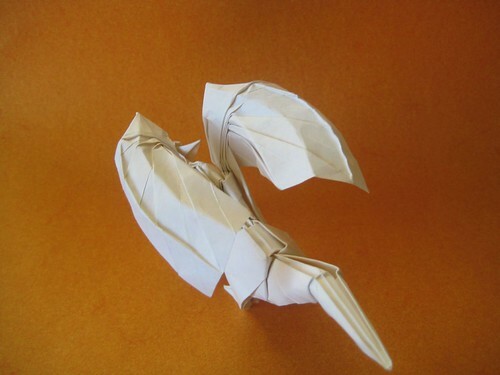 The dragons range in their complexity from very simple ones, that are in fact variations of the origami crane, which require much less then 20 steps to fold, to the very complex ones. And amount of steps to fold the last ones is counted by hundreds at least, and I’m not joking. 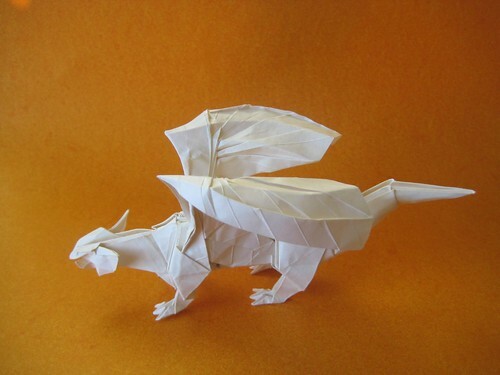 You may be familiar with some of the origami dragon “species”, for example from my last post, which shows 3 beautiful origami dragons, designed by such origami masters as Joseph Wu and Satoshi Kamiya. 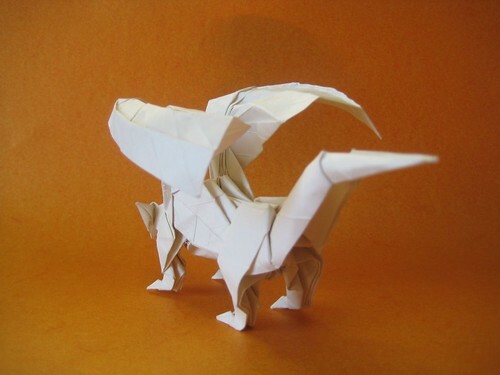 The first origami dragon is designed by Joseph Wu, and the last one – by Satoshi Kamiya. 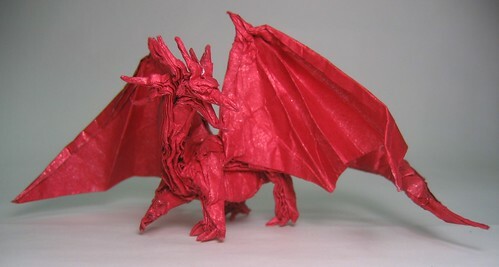 I should note, that the last origami dragon – the Ancient Dragon, is very small. 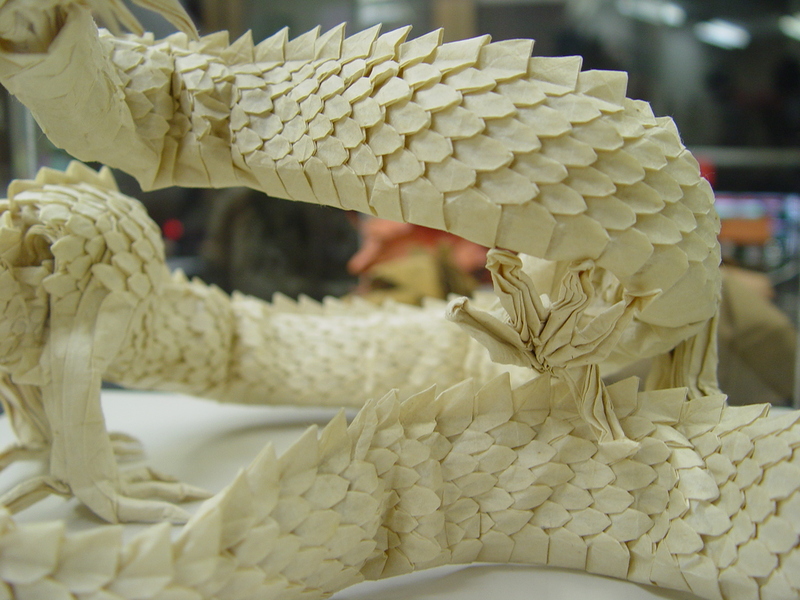 You can see how tha paper is crumpled – this is what you get when you fold complex models from small sheets of paper. Though I think that this is intentional in this case. 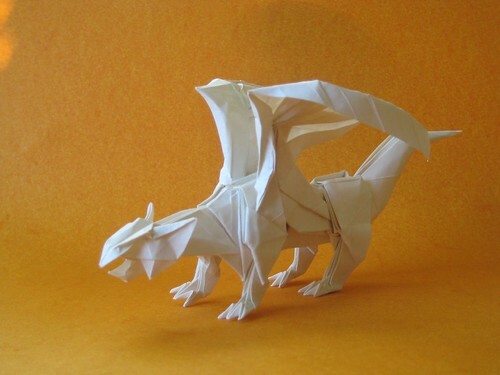 As I have already said, there are many, many origami dragons, simple and complex. Some are cooler then others, some are not. 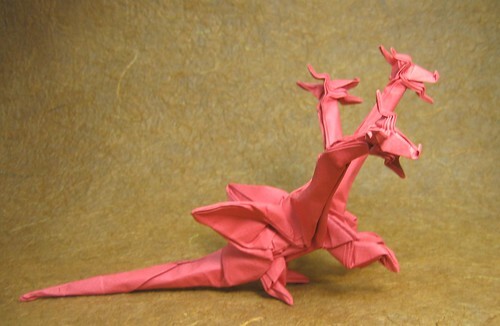 But there is one particular origami dragon that is special. It is special to me as well. Mostly because it’s freakin’ awesome, cool, great, breathtaking, jawdropping, etc. 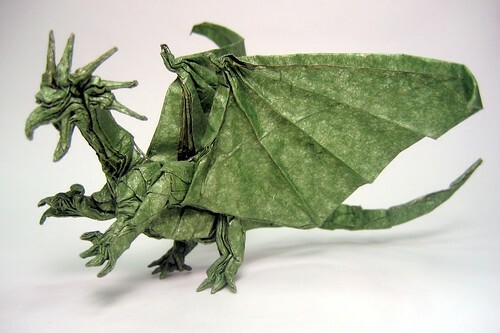 This origami dragon is my favorite. 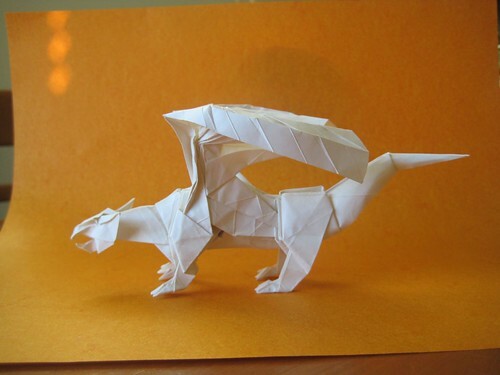 The Eastern Dragon, or Ryujin, or Ryu Zin, designed by Satoshi Kamiya, The Father of Origami Dragon, as he was called here. 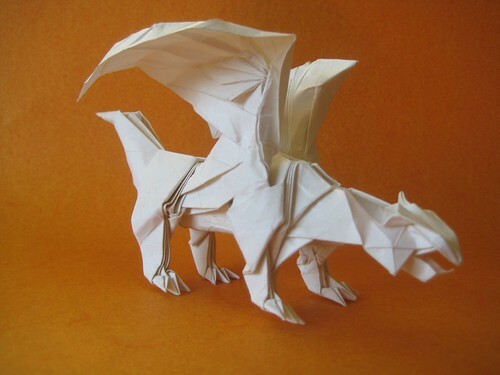 You can check out how to make your own origami dragon from a regular printer paper here.